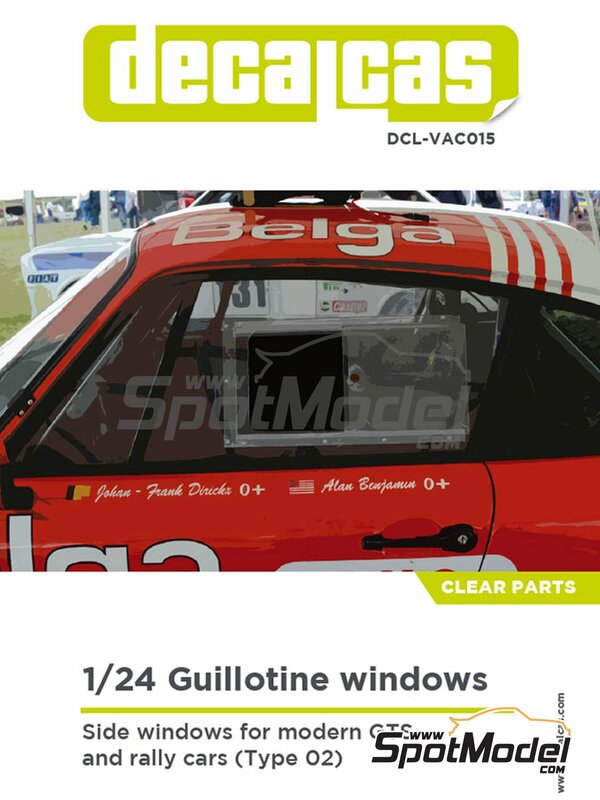 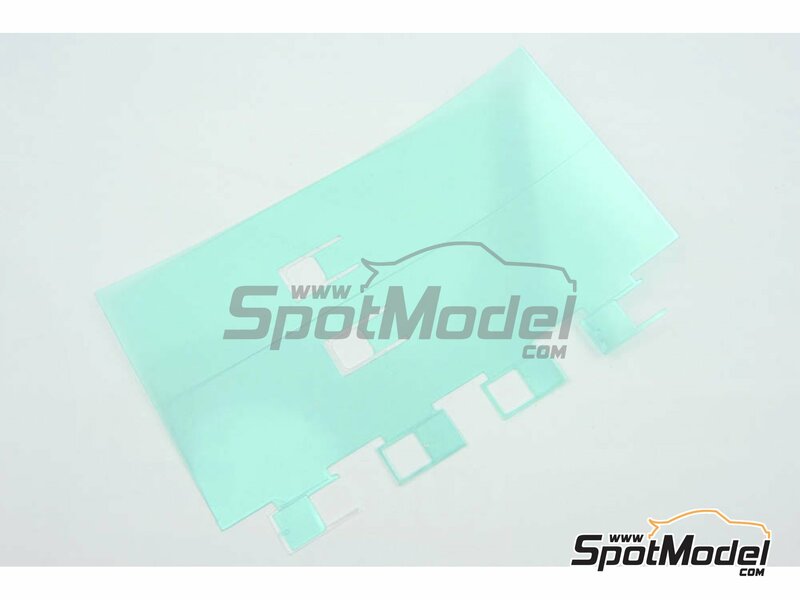 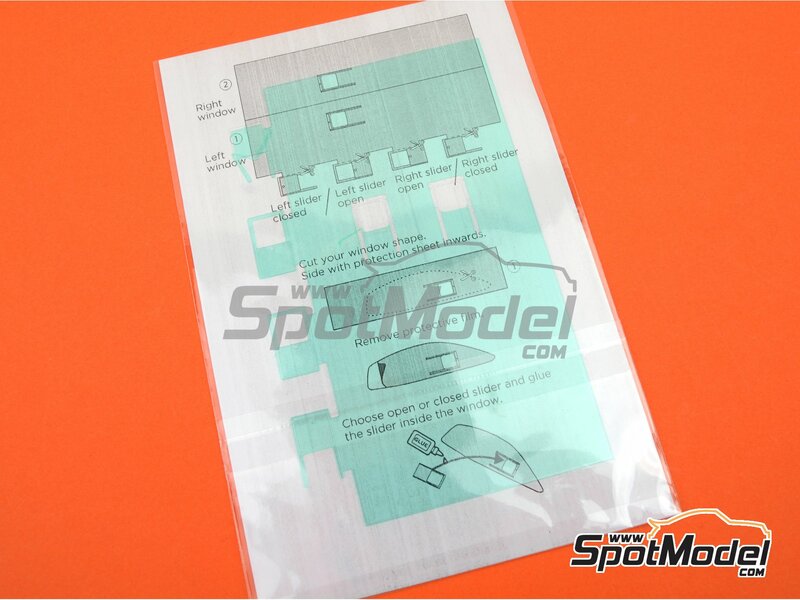 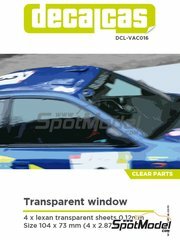 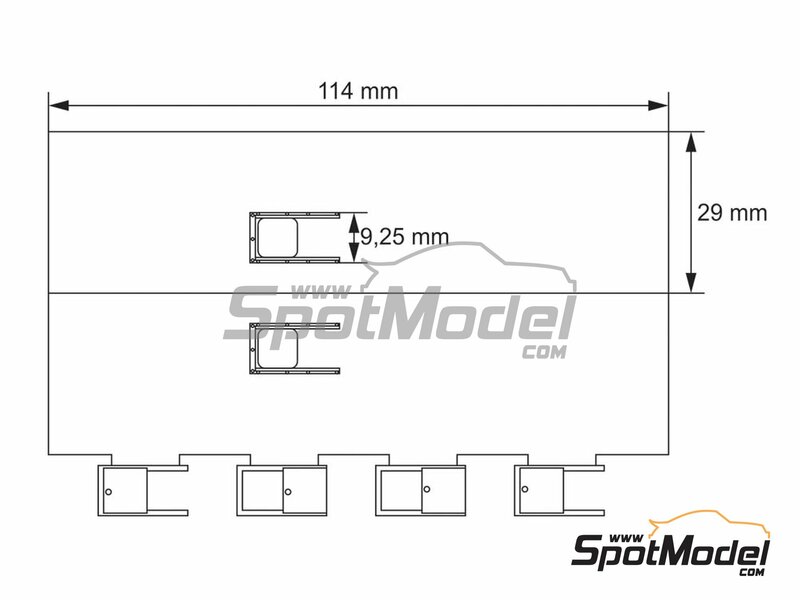 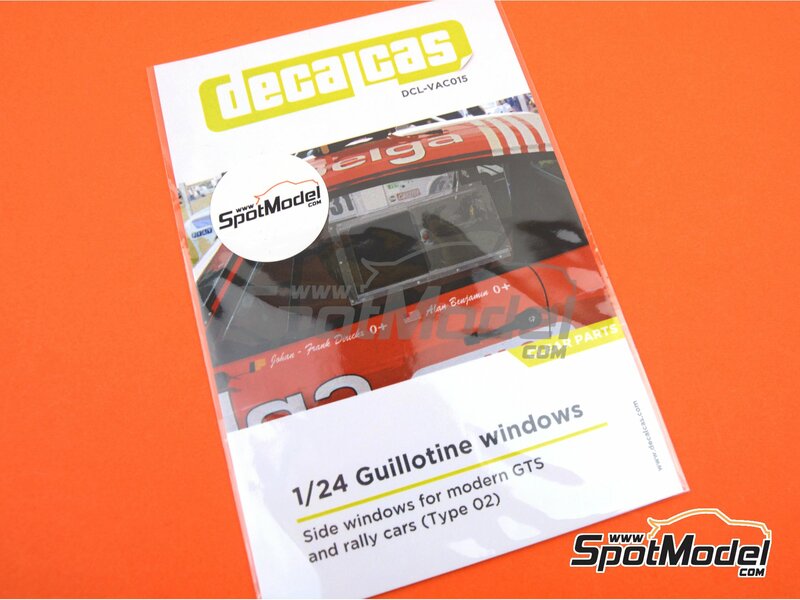 Transparent plastic sheet precut to size, for replacing the injected plastic side windows that usually include rally car kits and gt in 1/24 scale. 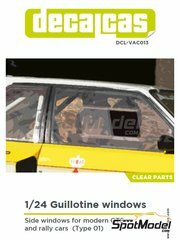 Give more realism to your models with these side windows made with the same material as real vehicles, with the possibility of presenting the window opened or closed, as well as greater transparency. 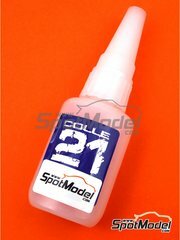 Manufactured by Decalcas in 1/24 scale with reference DCL-VAC015.